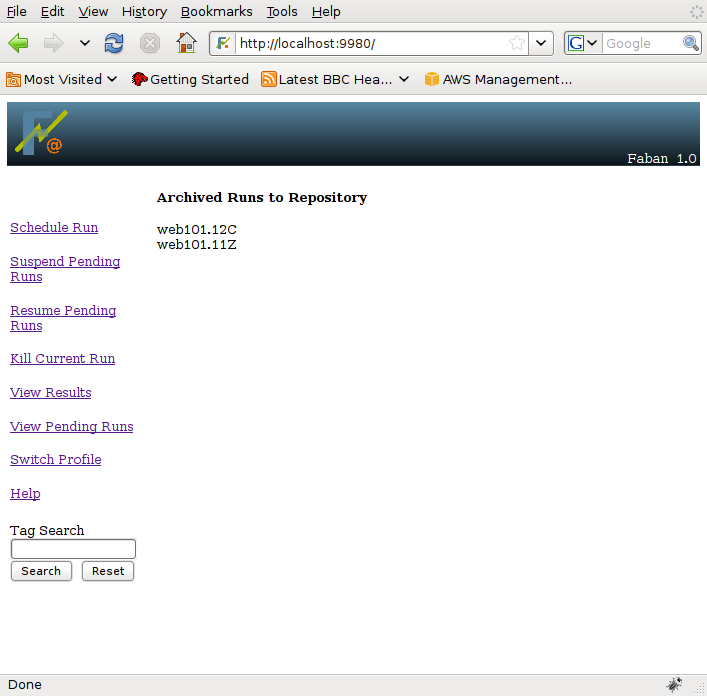 If archiving is enabled and properly configured, the "Archive" button will appear on the results page, as seen below. Please refer to Repository configuration on how to configure archiving. You might want to archive some run results for future reference. 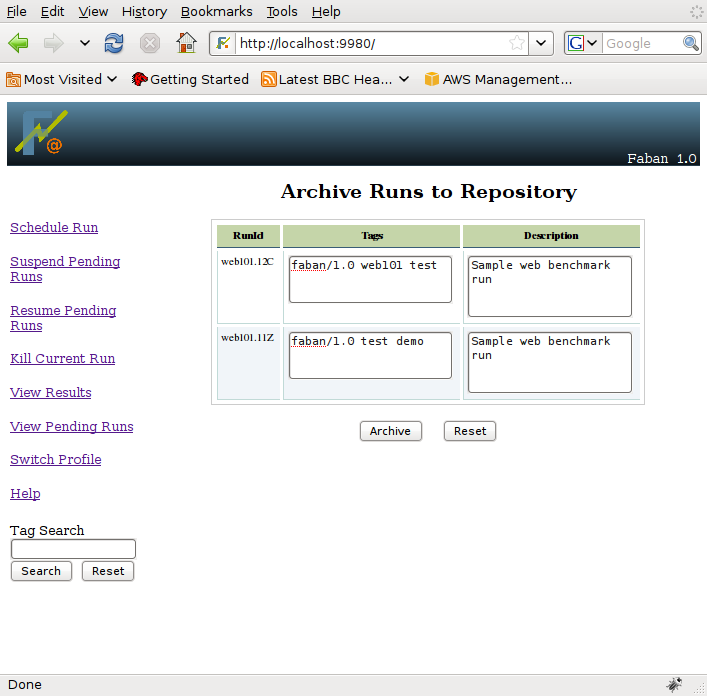 Select the runs and hit archive button on the top or bottom. Just edit the run decription if you want too. 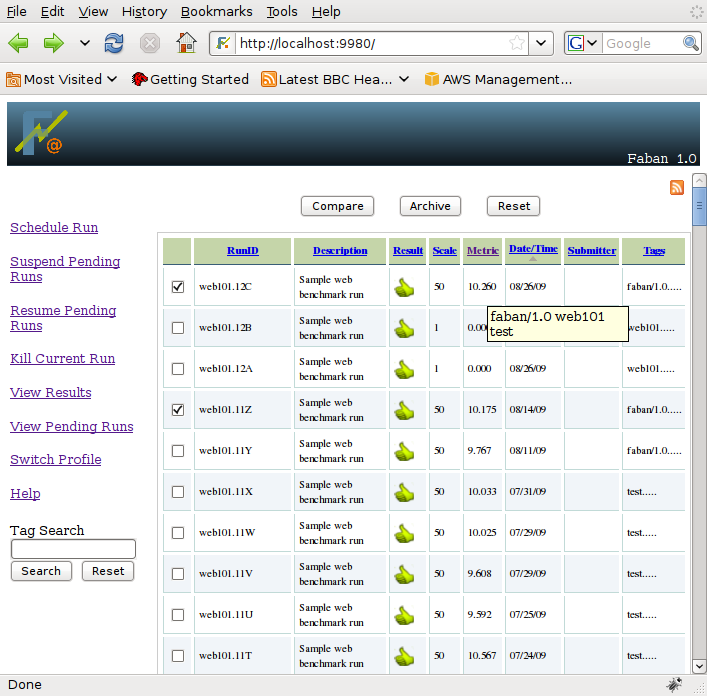 In addition, you can also add and delete tags. After editing, hit the "Archive" button.